Philadelphia Star Althea and her mom are ready to ride. Ride for Kids motorcyclists in Maryland and Pennsylvania raised more than $149,000 for the Pediatric Brain Tumor Foundation on Sept. 14. More than 300 riders attended the events in Ellicott City, Md., and Phoenixville, Pa., to honor our Stars, local children with brain tumors: Althea, Elizabeth, Emily, Gabriel, John, Maggie, Nick, Olivia, Paige, Ruxy and Yosef. Philadelphia Ride for Kids Star Emily is grateful that motorcyclists support this cause. “I have been fighting since I was 4 years old and I am okay now,” she said. “After 13 years I looked at my X-rays and there was no tumor. I am on the stage because people like you came out and cared about us." Making life better for Ride for Kids Stars is the reason motorcyclists across the country ride for the PBTF, which funds medical research and family support programs to help eliminate the challenges of childhood brain tumors. The events are still collecting donations online at www.rideforkids.org. Fundraisers will receive incentive credit through Oct. 14. Ride for Kids is a national series of motorcycle charity events that raise awareness and funds for the Pediatric Brain Tumor Foundation, the world's largest nonprofit funder of research into one of the deadliest forms of childhood cancer. The Ride for Kids program also funds free educational resources and college scholarships for brain tumor survivors. More than 28,000 children in the United States are living with the diagnosis of a brain tumor, and 13 more cases are identified each day. American Honda is the presenting sponsor of Ride for Kids. Other national supporters include GEICO and Cycle World magazine. To ride with us to cure the kids, call 800-253-6530 or go to www.rideforkids.org. I'm a tank-bag whore; I always have at least 3-4 on hand from which to choose. 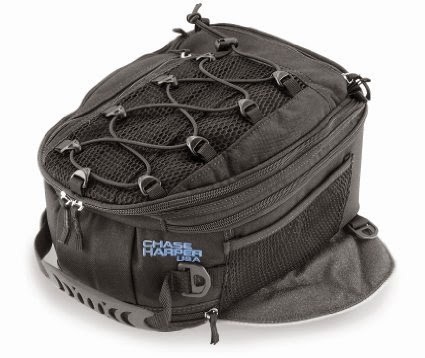 I've used the CH 650XM for a couple of years as my primary bag, which is nearly identical to the 950XM except for the 950's expansion zipper, red interior, and slightly shorter outside mesh pockets (which work great for holding a toll-both transponder.) On both bags, I cut the backpack straps out so I can use that pocket for extra storage. I also cut the strap for the headstock strap as I've never had a magnetic bag that actually needed one. This doesn't come with a rain cover, which for me is no big deal because I've learned over the years that the best method for keeping a tank bag's contents dry (and negating the need to stop) is to use a repellant/UV protector spray on the bag, and forego rain covers in favor of using Pelican cases, Loksaks, zip-loc baggies, etc. Most rain covers are a PITA to install, flop around at speed, and cover the map case. Speaking of which, this bag comes with a double-sided map case. It also has plenty of interior and exterior pockets, a key clip, a shock-cord web on top, and four extra mounting points on the outside that could be used to strap something down. 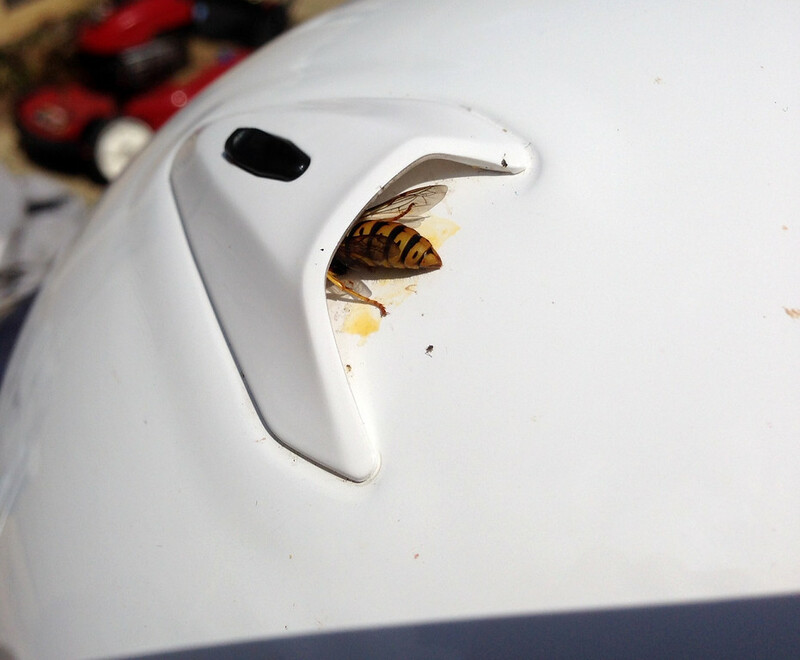 The magnets grasp the gas tank with limpet-like strength. All in all, a well-designed, feature-filled, top-quality bag. Update: Chase Harper's customer service and warranty support are sub-par. After using the bag only 2-3 times, one of the elastic cord loops that secure the map case broke, and 2 of the remaining 3 look like they'll break soon, too. Chase Harper tells me it will repair the bag at no cost (though not to like-new condition; it will only "top stitch" the cords onto the bag, which were originally sewn into a seam) but the full cost of shipping the bag from Delaware to California will have to be borne by ME. I fail to understand why I should have to pay a single penny when I was sold a bag with a clear defective design or manufacturing defect. The best motorcycle-product vendors I deal with would likely simply send a replacement ASAP, or send one when the defective bag was returned. 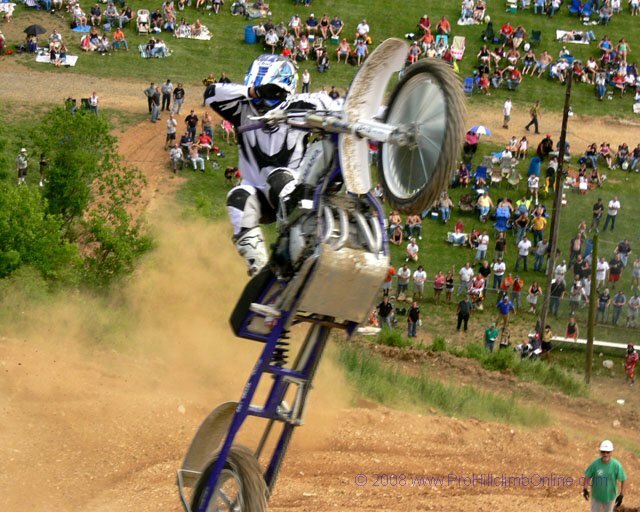 September 21st sees the return of those hillclimb nutters to the AMA Class A National event at the White Rose Motorcycle Club's hill near Jefferson, PA. I've attended this event a few times and it's a great time. If you've never watched a real hillclimb, you should. It's one of the oldest forms of motorcycling competition, and also one of the toughest...and most basic: fastest to the top wins (or furthest, if the hill beats everyone). At the White Rose hill, riders hurl themselves against a 300-foot dirt hill; two jumps on the way up make it even more interesting. They may have also added a turn since I was last there. Anyone lucky and fast enough to cross the finish line with momentum to spare often takes a final giant leap over the crest, which can lead to moments like this one. Bikes range from converted MXers to purpose-built climbers powered by old British twins or late-model 4-cylinder screamers running either nitro or NO2. That the club can be reached via twisty backroads makes the event that much more fun! More event info on White Roses's site. Saturday was miserably hot, humid and stormy, but Sunday's weather for the monthly ride-in at the American Legion post in Ephrata, Pennsylvania was close to perfect. Here are a few of the bikes among the many hundreds that caught my eye. Water buffalo in very good, unrestored condition. Grimli would ride a Grom methinks. Not sure, but may be ~1959 Valiant model. There may have been an engine shroud originally. Nice street tracker; check out the headlights. One of the original Japanese sport-tourers. A New Era in AMA Road Racing? This just in from the AMA. Looks like potentially great news for American road racing fans. AMA racing has been very lame the last few seasons, with small fields and little competition for wins. Costa Mesa, Calif. (September 4, 2014) – In coordination with the American Motorcyclist Association (AMA), KRAVE Group LLC announced that it has entered into an agreement to take over promotional and management rights for AMA Road Racing properties in North America as part of the newly formed MotoAmerica series. The move comes at a pivotal time in professional road racing, and will allow MotoAmerica to award AMA and FIM (Fédération Internationale de Motocyclisme) North America No. 1 plates to class champions beginning in 2015. Races and venues will be announced at a later date. “When I was a kid first learning how to race, my ultimate goal – the goal of every young racer – was to compete in the AMA,” said KRAVE Group LLC Partner and MotoAmerica president Wayne Rainey, a two-time AMA Champion (1983 and 1987) and three-time 500cc World Champion (1990, 1991 and 1992). Rainey, who notched 24 Grand Prix race wins during his storied career, was inducted into the AMA Motorcycle Hall of Fame in 1999 and is also in the International Motorsports Hall of Fame, the MotoGP Hall of Fame and the Motorsports Hall of Fame of America. Alongside Rainey, the newly formed KRAVE Group LLC (dba MotoAmerica) includes Chuck Aksland. From a racing family, Aksland enjoyed a brief career as a well-respected road racer. After retiring from competition, he managed Team Kenny Roberts for 20 years and also guided the careers of World Superbike star Jonathan Rea and current U.S. Road Racing championship contender Roger Hayden. Recently, Aksland served as VP of Motor Sports Operations at Circuit of the America (CoTA). Another partner in KRAVE Group LLC is Terry Karges, a former motorsports marketing executive and team owner who spent 17 years at Roush Performance before being named Executive Director of The Petersen Automotive Museum. Richard Varner is the fourth partner in KRAVE (Karges, Rainey, Aksland, Varner). Founder of Champions Moto motorcycles, Varner is also an energy sector entrepreneur and businessman. The agreement between the AMA and KRAVE Group LLC (MotoAmerica) was finalized on September 3. More information will be released shortly, including future race dates, classes, rules and event information. For more and continued updates, please visit MotoAmerica.com. Contact me (Doug at TiltedHorizons dot com) for marketing inquiries, product reviews, confidential testing/reporting, etc. Save $10 with discount code "TiltedHorizons"